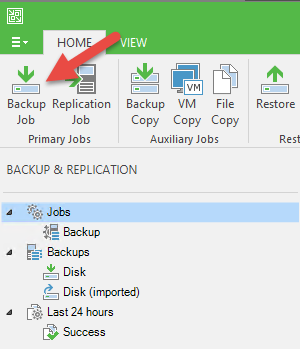 A few weeks ago, I was writing about the availability of Veeam Backup & Replication 9.5 Update 1 RC and the way to get it. 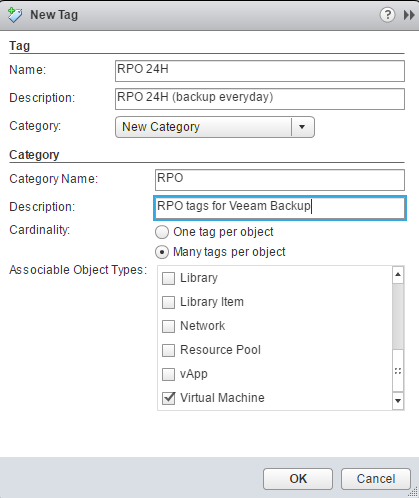 Today, you can get the official release from Veeam website. After the upgrade, your build version will be 9.5.0.823. Before making this upgrade, be sure that you are running build 9.5.0.580, 9.5.0.711 or 9.5.0.802. 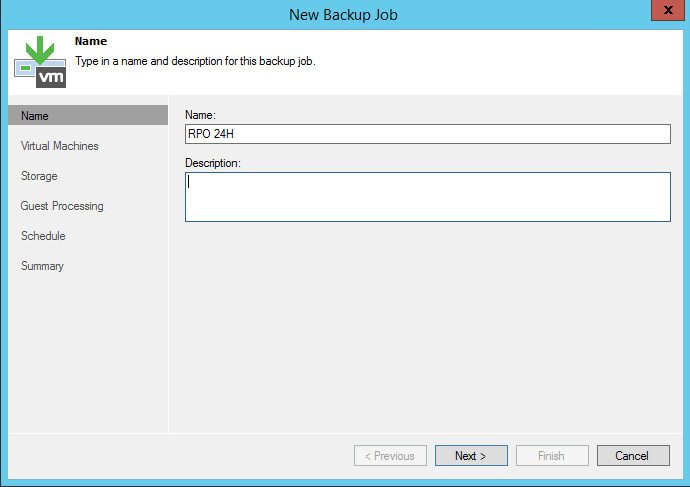 When you have a certain amount of VMs, there is one step that you can easily forgot or that takes time : configure the backup job. 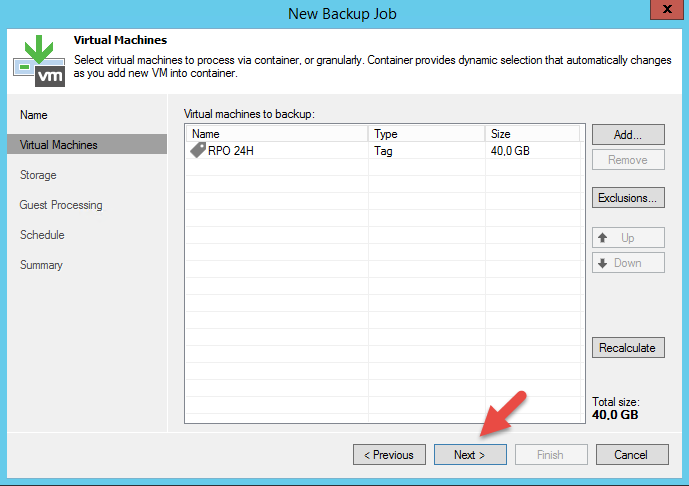 Each time you add a VM you have to open Veeam interface and add the VM to a specific job. 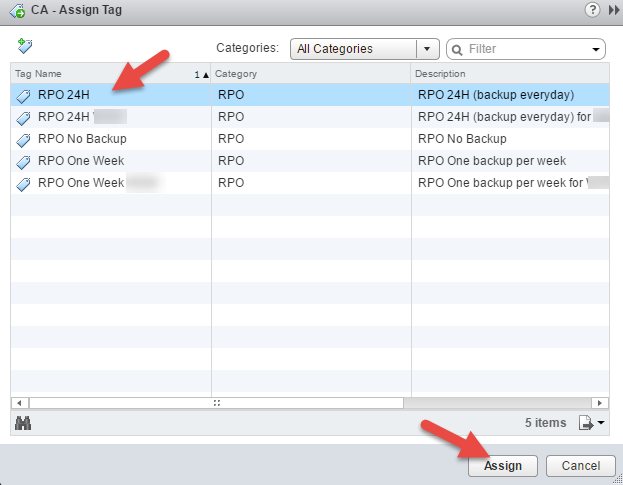 But, today, I have an easy way to add some automation to solve this problem : VMware tags and Veeam backup job based on tag. Click on this link, then “Items” and select the tab “Tags”. 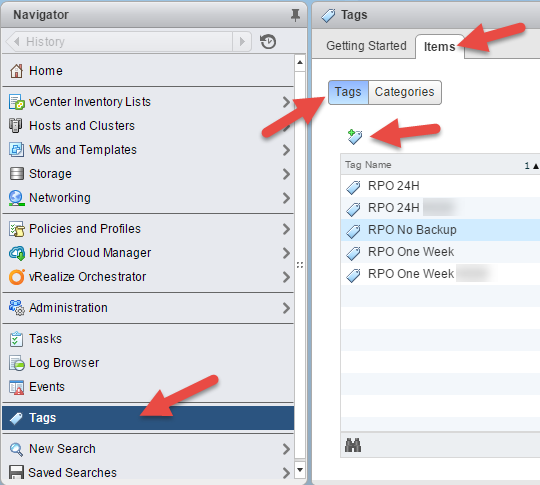 You will find all the existing tags on your vCenter. To create a new tag, simply click on the new tag button. Repeat this step for each tag you want to use. 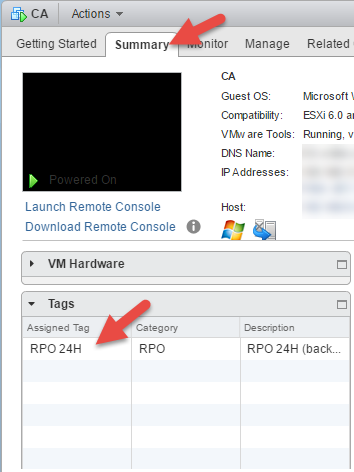 Once you have created all the necessary tags, it’s time to add them to your VMs. 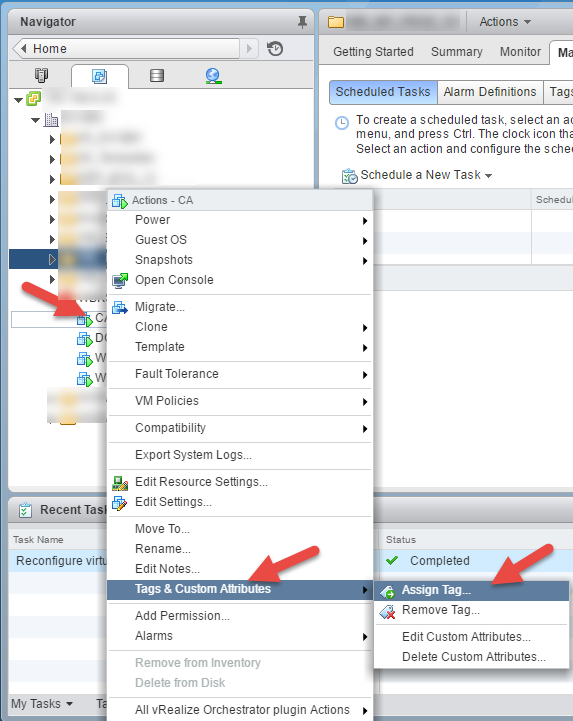 The tag that you have assigned will be visible on the “Summary” tab of the given VM. Then configure all the next steps on the Veeam wizard and click “Finish”. 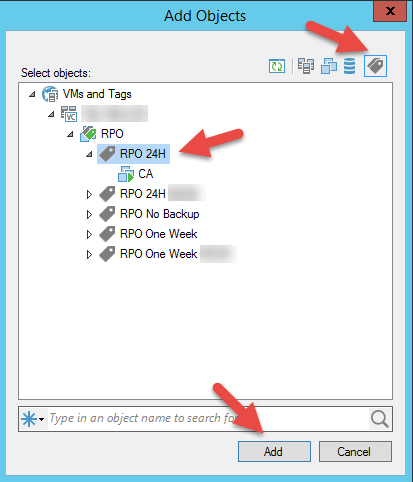 At each job launch, Veeam will search for all VMs with the given tag. 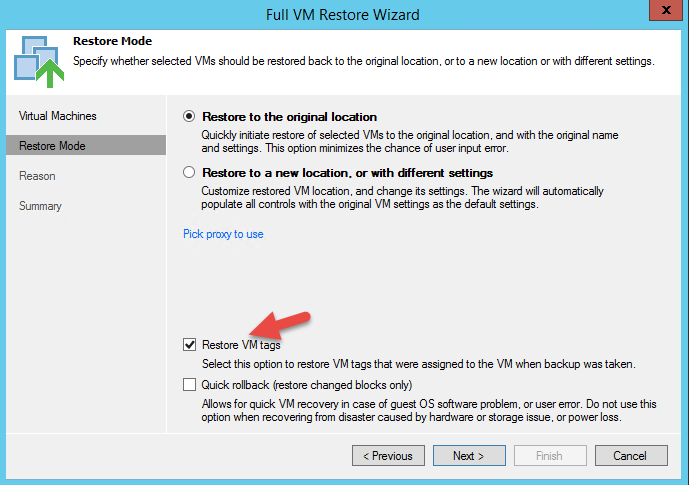 So you’ll never had to open the Veeam wizard again if you want to add a VM to a backup job. On the 15th November VMware has announced the General Availability (GA) of vSphere 6.5 and on the 16th Veeam has done the same with the GA of Veeam Availability Suite 9.5. Two big announcements but one problem : Veeam 9.5 is not compatible with vSphere 6.5. We will have to wait until Veeam 9.5 Update 1 that will be available at least two months after the last release of VMware. On the 30th December, Veeam has announced on his forum that the release candidate is available and that if you want to try it, you have to open a case via the customer portal. You only have to ask to try this release and they will send you all the links to download each part of Veeam 9.5 Update 1 RC. The update path is the same as the traditional stable Veeam updates : extract the EXE from the ZIP and execute it. Currently, we are testing this release in the company I work for within an all new VMware 6.5 infrastructure (not in production) and it’s running fine. Caution : It’s a Release Candidate version and there is no support from Veeam for this one. So be careful and don’t use it in your production environment.